Angry cab drivers reportedly interrupted the Late Show interview–twice. When Uber CEO Travis Kalanick appeared on the Late Show with Stephen Colbert Thursday night, his company’s political problems followed. 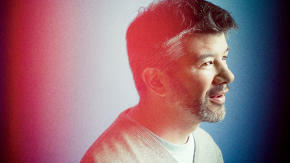 According to reports from audience members at the event, the interview was interrupted at two separate points by cab drivers who asked Kalanick to address concerns over the effect that Uber has had on their industry. So, so excited to see this interview. Some insane stuff went down. I’ll talk about it if they don’t show it. They were criticizing Uber’s disruption of the NYC cab system, and they were very aggressive and made everyone rather uncomfortable. Then five minutes later, another man got up and yelled something else. The Uber guy started to talk back to him, but Stephen calmly touched his arm and quieted both him and the cab driver in the balcony. He said that he would ask the man’s question “in a more respectful way. Both encounters and all references to them were cut for the air. The Uber man actually had some decent (prepared) answers to the questions, & Stephen was able to make it funny, but Biden deserved more air. But – it was truly remarkable to see how Stephen handled the whole interview. He easily could have had the men removed. But instead, he truly listened to what they had to say and directly incorporated their concerns into the interview, completely smoothly. And he had complete, *complete* control over the entire theatre. The audience, the band, the crew – we were all confused/a little scared, but Stephen calmed and quieted everyone. He didn’t call for security, he just dealt with the men and then continued an excellent interview. It was a fantastic thing to watch happen. He handled it with class and earnestness & showed just how skilled he is as a performer and host. I’m actually sort of sad none of it made the cut. They must’ve talked for at least 15 mins, & what they showed was kind of awkward & short. Neither CBS nor Uber responded immediately to a request for comment.